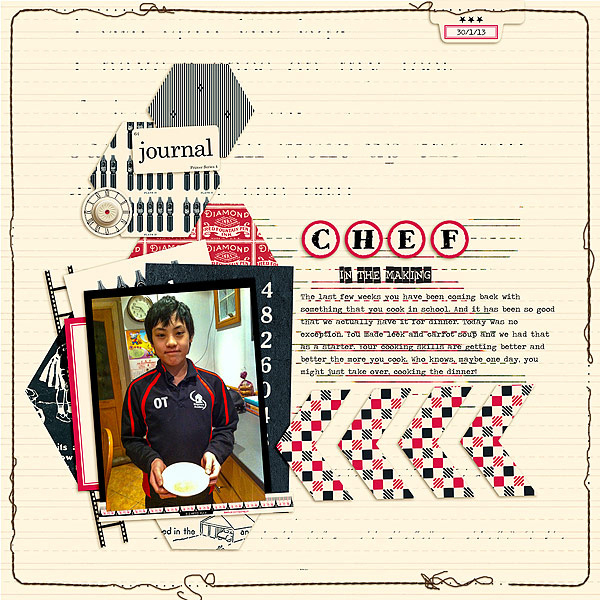 jbs inspiration: It's a Super Weekend at JBS! Not only do we have new February Kits released today, a new Flea Market release, a new Mixed Media Kit, new Flea Market "Collections", and a new Mini Album Project Kit that is 100% adorable and PACKED with goodies, we also have 2 new digital kits released today! Since this is reveal day, this kit is 25% off and only $1.87 through the weekend! If you are a paper scrapper you must remember this! 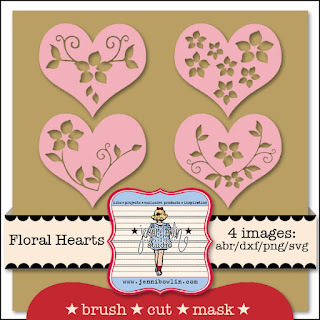 If you're a digital scrapper, you're in luck that this gorgeous kit is now available for you, too. Paper Scrappers! Stay tuned! Tomorrow you'll see how our creative team used this collection to create hybrid projects! Today, I want to show you some beautiful digital creations! Anja De Dobbelaere layered beautifully with digital doilies. The background pages she used are my favorite from this line! 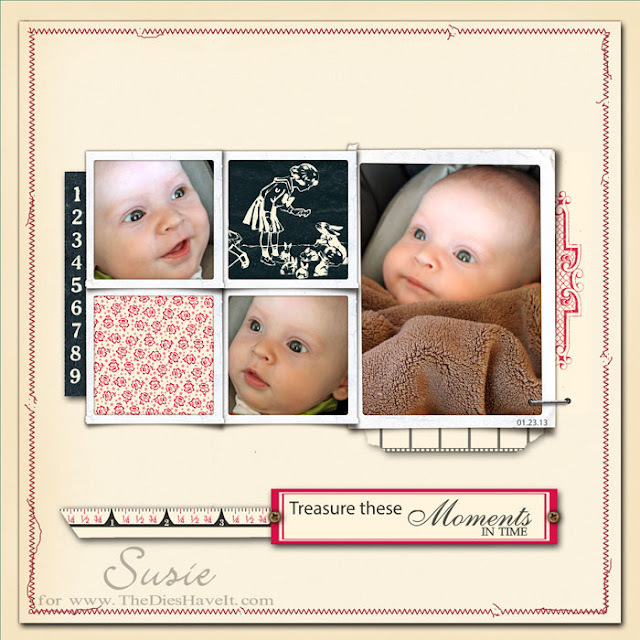 and from Susie Moore, a gorgeous blocked layout. I love how Susie focused on the sweet girl and bunnies in one of the patterned papers for a square. That's what's so great about digital. You can do things like that easily! Yes, it's a SUPER weekend! Stay tuned tomorrow and Sunday. 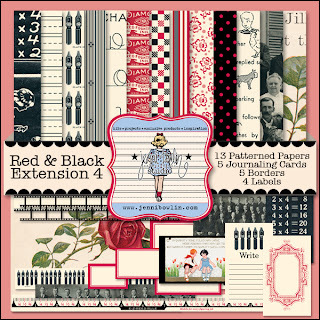 You'll see projects created with these kits that will have you running to our JBS Digital Designs Shoppe and to our JBS Mercantile, too!